As with the Mac n Cheese, I must apologize for the pictures. It’s not because I’m a horrible photographer, I am, but I took these shots quickly while cooking for Thanksgiving. I didn’t stage anything, I didn’t even stop to think about angles or lighting. I just pulled out my camera and when my hands weren’t busy, fired off a few shots. When my baby sister decided to host our family’s Thanksgiving at her place this year, she handed out tasks to everyone involved. I got assigned 3 side dishes; Mac n Cheese, Roasted Garlic Mashed Potatoes and Green Beans. When I asked if she wanted a traditional green bean casserole, she recoiled in terror, “Nooooo!” she screamed. Frankly I don’t blame her, maybe I’ve just had bad experiences with it, I’m not all about the creamy with my green veggies. 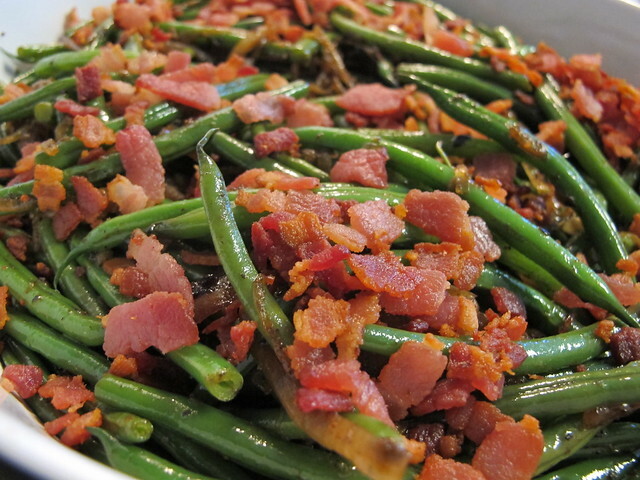 Instead she requested green beans with bacon and onions like at the steakhouses. I support anything that includes bacon so I said.. sure! Like I really had a choice. This is truly a simple recipe. 4. 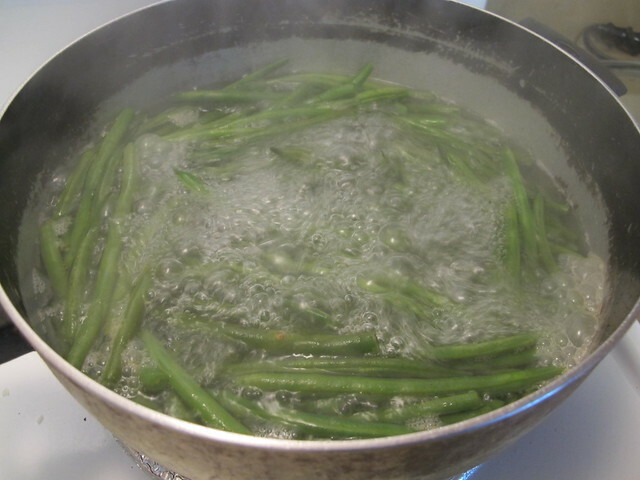 Toss in some salt to the boiling water and then the green beans. 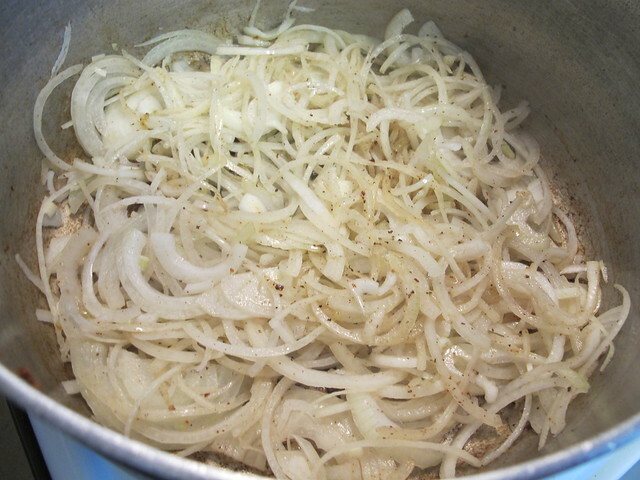 Cook until tender crisp, about 2-3 minutes. That means the outside is slightly done but there’s a crunch when you bite into it. 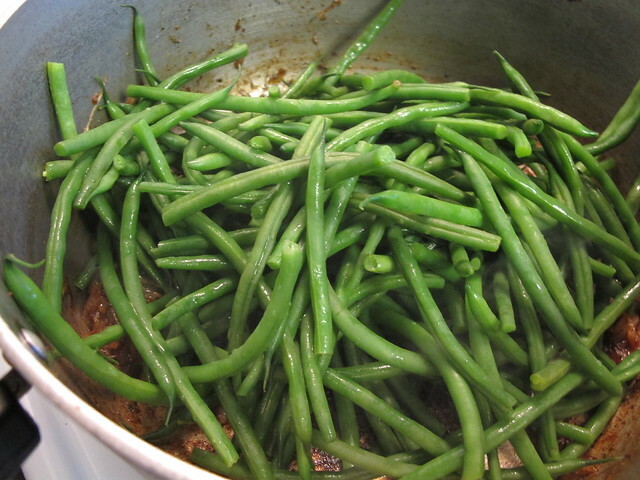 Haricot Verts get to that stage quickly while regular green beans take a while longer. 6. Toss bacon pieces on top and step back in awe. Admire how the beans glisten with flavor and stop yourself for devouring it all before going to your sister’s. Glance back, sneak a quick bite then leave the kitchen immediately. They’re better than potato chips, you can’t eat just one. Promise. 2. The vinegar is very important. 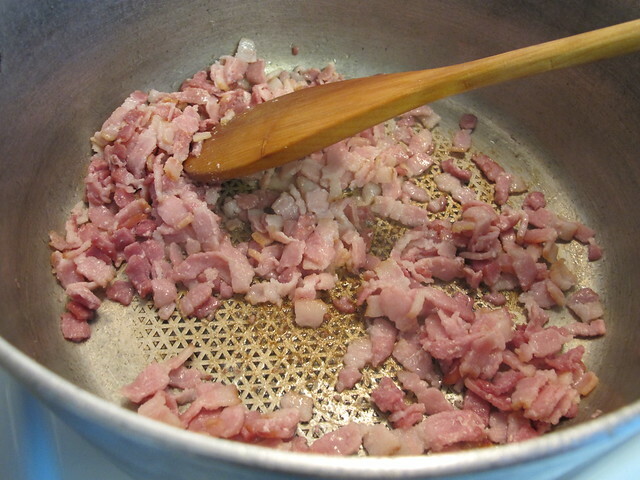 It helps cut the heavy bacon flavor and brings out the sweetness of the beans. If you don’t have apple cider, you can substitute with another mild vinegar, such as rice wine, white wine, champagne or even a tarragon vinegar. 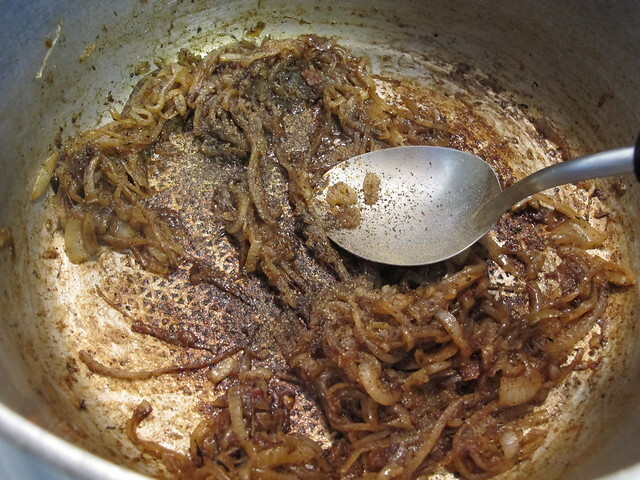 Do not use regular distilled vinegar, it’s too harsh for this dish! 3. 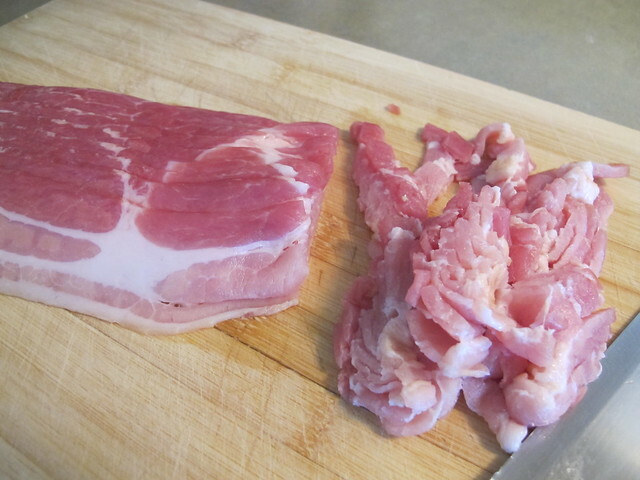 Stick bacon in the freezer for 15 mins before slicing it. It’s easier and less messy! My sister was VERY happy when I showed up bearing bacon and green beans at her doorstep. 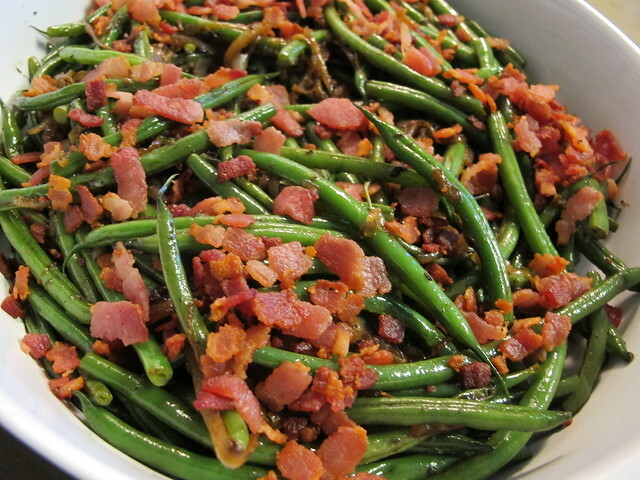 Can’t wait to try, I love green beans and I love bacon…um. I make this dish for every holiday I host. Easy and always a big hit!